It’s often a challenge to shed stereotypes and find success when you venture outside of what people perceive to be your specialty or niche. This is particularly true with car manufacturers. Kia made an attempt to break out of its “value-driven, mass market vehicle” mold with the K900, but discovered that there were only about 455 people willing to shell out $50,000-plus for a luxury sedan that didn’t have the name “BMW,” “Mercedes-Benz,” or the like affixed to the trunk lid. Undeterred, Kia set its sites on creating a vehicle that would add some sizzle to its lineup, a sportback that would challenge the aforementioned European brands. 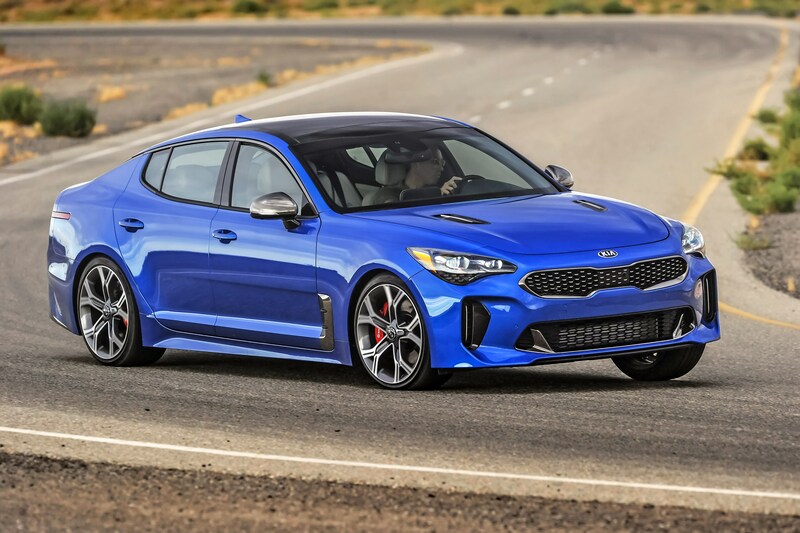 Enter the 2018 Kia Stinger. For the Stinger, Kia designers and engineers spent the better part of five years developing the ultimate gran turismo. The goal was to be bold, to create something fast and nimble, yet luxurious and comfortable for five passengers, plus luggage. After spending a week behind the wheel, I can confidently attest that the Stinger will shatter your preconceived notions of what a Kia can be. It is available in five trim levels, with GT models sporting a 365-horsepower V-6 engine. I drove the base trim level, equipped with a standard 255-horsepower four-cylinder engine paired with an eight-speed automatic transmission. Even with the smaller engine, Stinger is a blast to drive. It’s agile, quick, precise, with handling that will have the German brands looking over their shoulders. And boy does it look the part. Slung low to the ground, with an athletic crouch, Stinger looks sleek and powerful. Inside, you’ll be comfortably ensconced in a cabin loaded with standard equipment is often “extra” in traditional luxury vehicles: real leather seating surfaces and trim, power adjustable seats, multi-color LED ambient lighting, to name a few. The controls are intuitive and set in an attractive, finely crafted and appointed dash, and integration for both Android Auto and Apple CarPlay is also standard. Legroom is generous for both front and rear passengers, and their luggage will fit nicely in the trunk. While typical sedans are waning in popularity, Stinger is a true rear-wheel drive sports sedan that deserves more than a passing glance. It takes direct aim at big names like BMW 3-Series, Audi A5, and Lexus IS, and gives them a legitimate challenge. What I Loved: With the Stinger, Kia accomplishes everything it set out to do with a true gran tursimo. Even with the base engine, it is fun to drive, yet practical and luxurious.